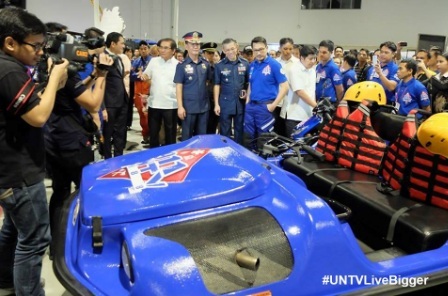 Gearing up to boost convergence in disaster preparedness between UNTV news-and-rescue team and the Department of the Interior and Local Governance (DILG) when the “Big One” hits the country, the Public Service Channel will hold its 3rd UNTV Rescue Summit on July 11 this year. Experts predict that the magnitude ~8 or greater earthquake called the “Big One” hitting Metro Manila and nearby provinces could lead to large-scale devastation. Thus, the need for the public to be prepared and for government authorities to intensify their risk reduction and crisis response management systems become a critical concern. 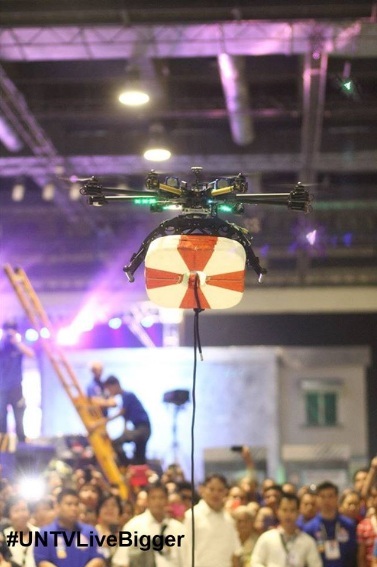 With a strong intent to heighten public safety awareness and to help equip and train more responders in times of disaster and emergency situations, BMPI CEO and President Kuya Daniel Razon said the event aims to provide trainings and life-saving skills development for the participating rescuers. “Nearby provinces and more will hopefully join because as we know, in terms of preparedness for the ‘Big One’, we are not only looking at the National Capital Region but nationwide,” said Kuya Daniel. Moreover, the event will organize a friendly rescue competition among rescue groups from different provinces. Following the signing of the memorandum of agreement for the hosting of the 3rd Rescue Summit last February this year, DILG officer-in-charge Sec. Eduardo Año commended the notable concept of the Public Service TV Network. “This is a very noble idea, a very noble project. The public can count on the preparedness of our emergency response teams in partnership with media. I wish for the continuity of this project and that we will be able to convince more sectors to join our advocacy for a safer Philippines,” said Sec. Año. As in two previous Rescue Summits hosted by UNTV News and Rescue on 2014 and 2015, respectively, the station was able to unify various rescue groups, law enforcers and emergency professionals from the government and private sectors. Different rescue equipments and vehicles were exhibited, along with the holding of orientations and seminars about disaster preparedness delivered by different government agencies, such as the Armed Forces of the Philippines (AFP), Philippine National Police (PNP), MMDA, Philippine Coast Guard (PCG), Bureau of Fire Protection (BFP) and Local Government Units (LGUs) from Quezon City, Manila, Marikina and Pasig City. Being the pioneer network station with trained rescuer news team, UNTV News and Rescue has been incessantly conducting first aid and rescue operations in the Metropolitan Manila. UNTV news-and-rescue volunteers respond to road and vehicular accidents, fire incidents, natural disasters, and other calamitous events, in addition to delivering public service and news reporting. Quick-response aid trainings and seminars are also being continuously conducted to different locations around the country.